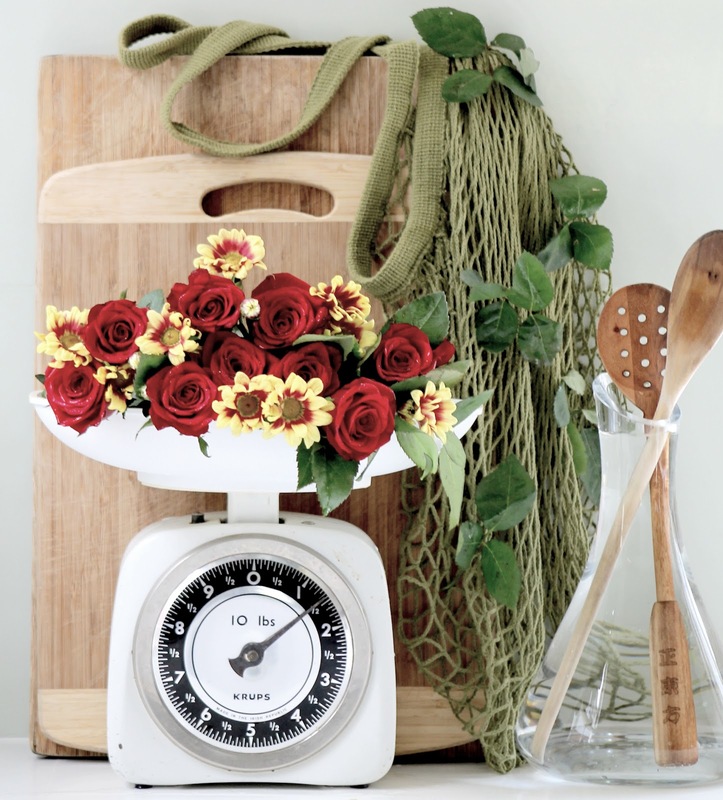 Do you like old vintage things handed down through the generations? I do. As some of you already know, these old scales are a favourite of mine. I love them because they were my mums and she used them allot. I use them too and they are the source of much inspiration. Just when I think I have them styled exactly how I feel suits them and my kitchen, I find another way to enjoy them. This was my Day 5- "Old" entry for Jen Bishops #7vignettes on Instagram. I do think old things look great paired with bright contrasting colours just to liven them up a little. I love green "matchy matched" on green. It is so very calming! 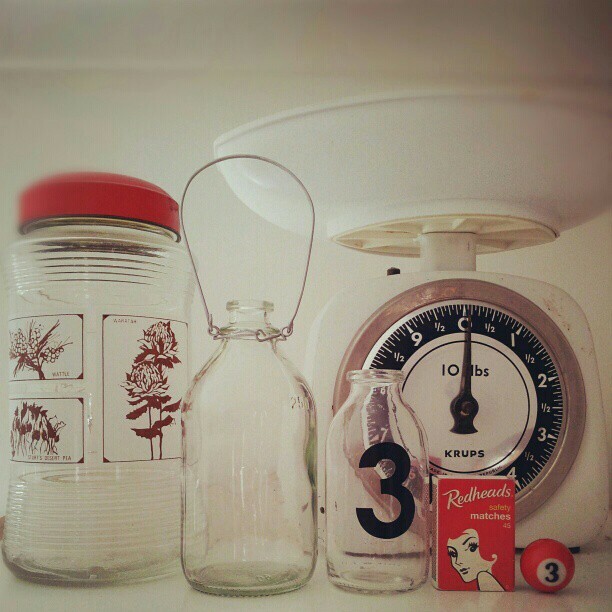 I also think they look very happy themed with all this vintage goodness too! they're all gorgeous but there's something really special about the first one. Beautiful. So great to see your photo fr=eatured by Jen Bishop too. Well deserved. Can't go past the flowers!